A new membership club for photographers purchasing and registering multiple Tamron lenses. Club members are discovered through our online warranty registration system. Tamron purchases must be registered by January 15, 2019 to be considered for 2019 VIP Club membership. Annual membership level is determined by both purchase AND completed registration of Tamron products. The membership is ﬁnalized by unique email address + same ﬁrst name/last name -or- by mail address + same ﬁrst name/last name of purchased AND completed registration of products from May 2011 thru January 15th of the current year. Tamron is not responsible for inaccurate or missing information uploaded into the online warranty registration system. The VIP Club status will be evaluated on an annual basis, admitting new customers and promoting current members to higher levels. Club membership status will be announced to all members, new and existing, on February 15 of each year following the close of sales and completed registration. Members are contacted via email to conﬁrm membership level and attain current mailing address for membership package. New members/membership level growth will occur once per year. No mid-year status changes are allowed. Valid for users residing in the USA only. Void where prohibited. See complete terms and conditions below. Members of the Tamron VIP Club Platinum Level whose latest lens purchase and completed lens registration was within the past two years as of January 15, 2019, will be invited to a 4-day/3-night Workshop Summit scheduled for Fall 2019. The Workshop Summit is limited to 25 participants, ﬁrst come, ﬁrst served. Invitations will be sent to qualifying Platinum Level members in Spring 2018 by priority mail. The Workshop Summit includes three nights hotel, meals, transportation to/from hotel/airport in destination city, workshop transportation, workshop and loaner lenses. Airfare and other incidentals are not included. The Workshop Summit will be offered each year, and Platinum level members may participate in one Workshop Summit during the life of the program. Tamron lens owners are encouraged to register their new purchase at www.tamron-usa.com. Registration is quick and easy and owners enjoy these beneﬁts: Instant serial number veriﬁcation to ensure that a Tamron USA imported lens with 6-Year Limited USA Warranty and eligible for any qualifying rebate has been purchased; access to product information in the event of loss or theft; custom support if service is ever required; priority contact in the rare event we discover an issue with the registered product; and if subscribe is selected, invitations to local workshops, seminars and sales events, subscription to the Tamron eNewsletter and exclusive promotional offers. And now registration has the beneﬁt of becoming a VIP Club member when you reach designated level quantity. 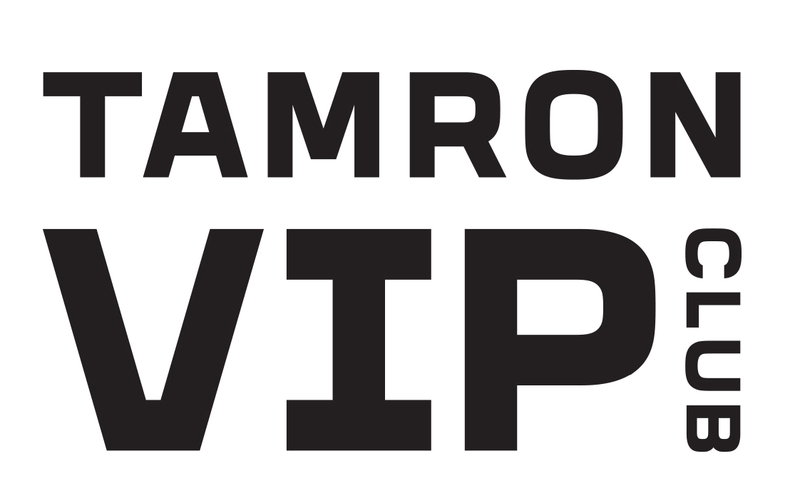 The purpose of the VIP Club is to reward loyalty to the Tamron brand from current Tamron customers that register eligible Tamron product purchases (“Eligible Purchases,” as defined herein). As described further in these Terms, the VIP Club will have three levels that owners can reach by registering Eligible Purchases. Tamron customers eligible for VIP Club membership are identified through Tamron’s on-line warranty registration system (the “Registration System”). Tamron customers must have completed registration of their Eligible Purchases through the Registration System by January 15 to be considered for VIP Club membership at any level for the next calendar year. In order to qualify for VIP Club membership at any level, you must have (i) made the required number of Eligible Purchases; AND (ii) completed registration of such Eligible Purchase through the Registration System. The VIP Club is open to individual U.S. residents at least 13 years of age. If you are between 13 and the age of majority (18 or 19 years old, depending on where you live), you may join the VIP Club only with the permission of a parent or guardian. Employees of Tamron and their families and employees and owners of Tamron retailers are not eligible. To complete your membership in the VIP Club (i.e., become a VIP Club “Member”) you must provide (a) a unique email address and the same first name and last name as the Eligible Purchases registered through the Registration System; or (b) the mailing address and the same first name and last name as the Eligible Purchases registered through the Registration System. Tamron is not responsible for inaccurate or incomplete information uploaded into the Registration System. The level that a new Tamron customer or an existing VIP Club Member attains will be evaluated on an annual basis. VIP Club membership status will be announced to all Members on February 15 of each year, following the close of sales and registration on Jan 15 of same year. VIP Club membership status will only be assessed once per year. Members are contacted via email to confirm membership level attained and to obtain a current mailing address for membership package. If a Tamron customer is not contacted about VIP Club membership and believes that they meet the VIP Club eligibility requirements, they can contact the Tamron service department at 1-800-827-8880 with proper documentation to validate registration of Eligible Purchases. Customers determined to have purchased and completed registration of products but were not discoverable due to inaccurate information uploaded into the Registration System will be admitted to the VIP Club on February 15 of the following year. Customers who did not register their prior Eligible Purchases may do so at any time, but will not be considered for VIP Club membership until February 15 of the following year. Eligible Purchases include any Tamron model lenses that were current at the time of purchase. Current lenses are listed on the Tamron USA website at http://www.tamron-usa.com. Teleconverters and Tap-In Console are not considered Eligible Purchases. Multiple purchases of same lens model, even if different mounts, are not considered Eligible Purchases. VIP Club membership may not be shared with other users of the lens. Each Member must own his/her own unique Tamron model lens. Grey market, open stock, and refurbished lenses are not eligible purchases. Only new and current Tamron lenses purchased from an authorized Tamron USA retailer are eligible purchases. Members retain status for three years unless the Member makes another Eligible Purchase and completed registration of such Eligible Purchase through the Registration System prior to the expiration of the membership. Tamron reserves the right to change membership level perks (“Perks”) at any time without notice. 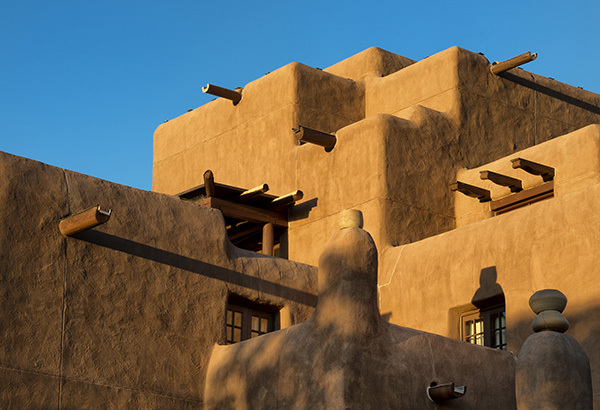 The gift, apparel, and Tamron Summit Workshop Perks are limited to once during a Member’s lifetime, without regard to whether the Member subsequently attains a membership level that would otherwise re-qualify the Member for such Perks. Void where prohibited. Membership in the VIP Club has no monetary or tangible value. Membership may not be transferred or assigned. An Eligible Purchase may only be claimed by the Tamron customer that registers the Eligible Purchase through the Registration System. Additional restrictions may apply to Tamron employees. You may cancel your VIP Club membership at any time by contacting 1-800-827-8880 x 411. If your membership is canceled, either by you or by us, you will forfeit any remaining Perks. Cancellation of your membership will not result in erasure of any information provided by or gathered regarding you. We may terminate your membership in the VIP Club because of suspected or actual conduct that we determine, in our discretion, violates these Terms or any applicable law, involves fraud or misuse of the VIP Club membership, or is harmful to our interests or another Tamron customer. We reserve the right to deny future membership in the VIP Club if we deem your conduct to violate these Terms. Our failure to insist upon or enforce your strict compliance with these Terms will not constitute a waiver of any of our rights. For information about your membership, contact Tamron by emailing tamronvip@tamron.com. IN NO EVENT WILL WE OR OUR DIRECTORS, OFFICERS, EMPLOYEES, AGENTS OR OTHER REPRESENTATIVES BE LIABLE FOR ANY DIRECT, INDIRECT, SPECIAL, INCIDENTAL, OR CONSEQUENTIAL DAMAGES, OR ANY OTHER DAMAGES OF ANY KIND, ARISING OUT OF OR RELATED TO THE VIP CLUB. OUR TOTAL LIABILITY, WHETHER IN CONTRACT, WARRANTY, TORT (INCLUDING NEGLIGENCE) OR OTHERWISE, WILL NOT EXCEED THE TOTAL AMOUNT OF THE ELIGIBLE PURCHASE THAT IS THE SUBJECT OF THE DISPUTE. THESE EXCLUSIONS AND LIMITATIONS OF LIABILITY WILL APPLY TO THE FULLEST EXTENT PERMITTED BY LAW AND WILL SURVIVE CANCELLATION OR TERMINATION OF YOUR MEMBERSHIP. THE LIMITATIONS SET FORTH IN THIS SECTION WILL NOT LIMIT OR EXCLUDE LIABILITY FOR TAMRON’S GROSS NEGLIGENCE, INTENTIONAL, WILLFUL, RECKLESS, OR MALICIOUS MISCONDUCT, OR FRAUD. IN CONSIDERATION FOR YOUR MEMBERSHIP IN THE VIP CLUB, YOU AGREE THAT IF YOU HAVE ANY DISPUTE WITH OR CLAIM AGAINST TAMRON ARISING OUT OF OR RELATING IN ANY WAY TO THE VIP CLUB, THESE TERMS OR ANY PERKS, THEN YOU WILL RESOLVE DISPUTES OR CLAIMS BY BINDING ARBITRATION BEFORE A NEUTRAL ARBITRATOR INSTEAD OF IN A COURT BY A JUDGE OR JURY, EXCEPT THAT YOU MAY ASSERT CLAIMS IN SMALL CLAIMS COURT IF YOUR CLAIMS QUALIFY. YOU AGREE THAT TAMRON AND YOU ARE EACH WAIVING THE RIGHT TO TRIAL BY A JURY. Arbitration will be administered according to the American Arbitration Association under its Consumer Arbitration Rules, as amended by these Terms. The Consumer Arbitration Rules are available online at https://www.adr.org/. You agree that any arbitration under these Terms will take place on an individual basis; class arbitrations and class actions are not permitted and you are agreeing to give up the ability to participate in a class action. Likewise, an arbitrator may not consolidate more than one person’s claims, and may not otherwise preside over any form of a representative or class proceeding. The arbitrator will conduct hearings, if any, by teleconference or videoconference, rather than by personal appearances, unless the arbitrator determines upon request by you or by us that an in-person hearing is appropriate. Any in-person appearances will be held at a location which is reasonably convenient to both parties with due consideration of their ability to travel and other pertinent circumstances. If the parties are unable to agree on a location, such determination should be made by the AAA or by the arbitrator. The arbitrator’s decision will follow these Terms and will be final and binding. The arbitrator will have authority to award temporary, interim or permanent injunctive relief or relief providing for specific performance of these Terms, but only to the extent necessary to provide relief warranted by the individual claim before the arbitrator. The award rendered by the arbitrator may be confirmed and enforced in any court having jurisdiction thereof. Notwithstanding any of the foregoing, nothing in these Terms will preclude you from bringing issues to the attention of federal, state or local agencies and, if the law allows, they can seek relief against us for you. IN CONSIDERATION FOR YOUR MEMBERSHIP IN THE VIP CLUB, YOU AGREE THAT THE FEDERAL ARBITRATION ACT AND APPLICABLE FEDERAL LAW, OR IN THE ABSENCE OF APPLICABLE FEDERAL LAW, THEN THE LAWS OF THE STATE OF NEW YORK, WITHOUT REGARD TO PRINCIPLES OF CONFLICT OF LAWS, WILL GOVERN THESE TERMS AND APPLY TO ANY DISPUTES OR CLAIMS AGAINST TAMRON ARISING OUT OF OR RELATING TO YOUR MEMBERSHIP IN THE VIP CLUB.